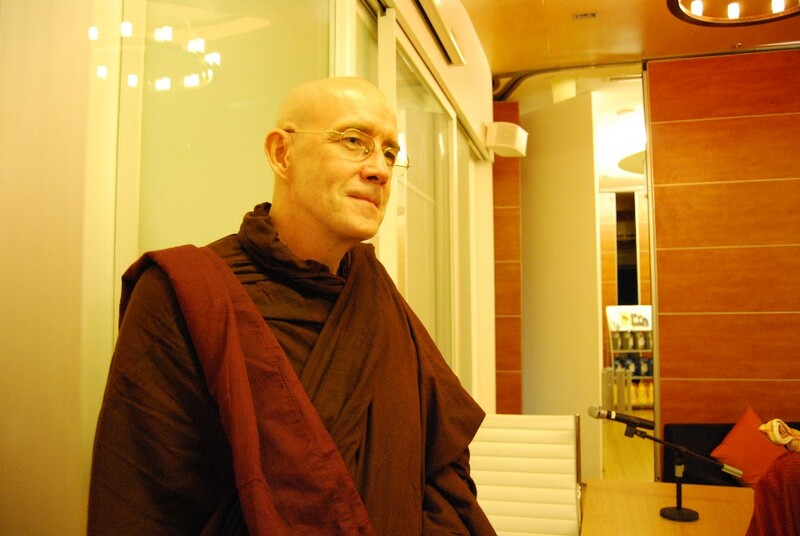 Changing to a different location on the skytrain line, we invited Canadian monk U Vamsa to give two talks while he was in town. 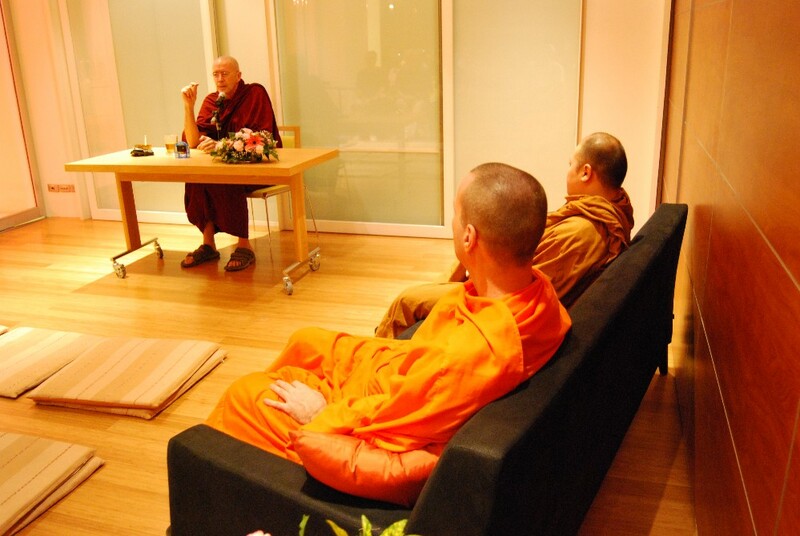 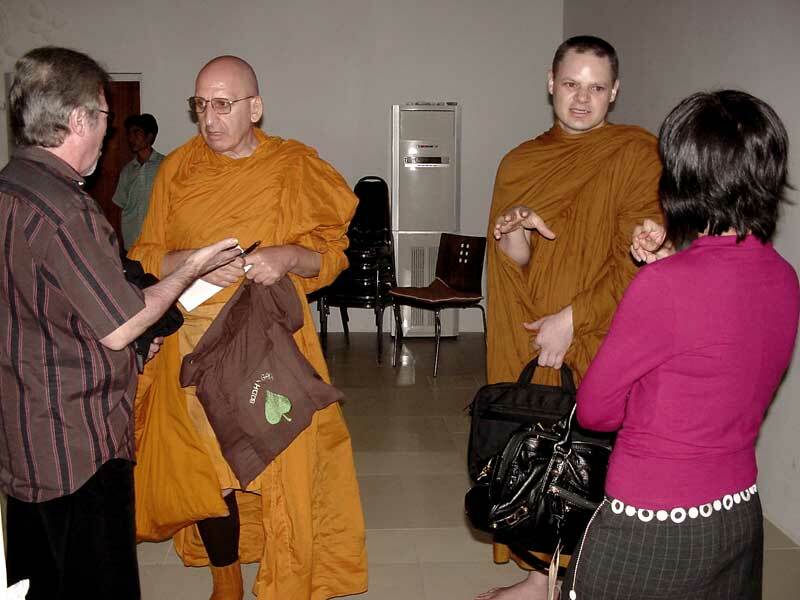 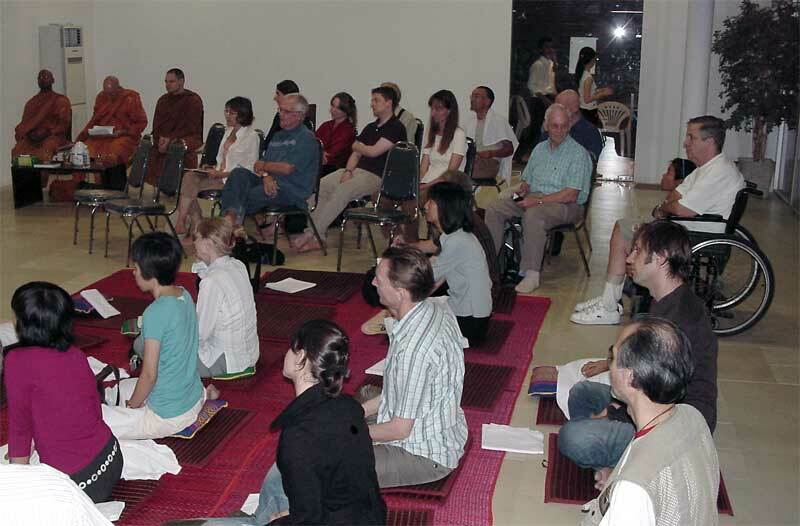 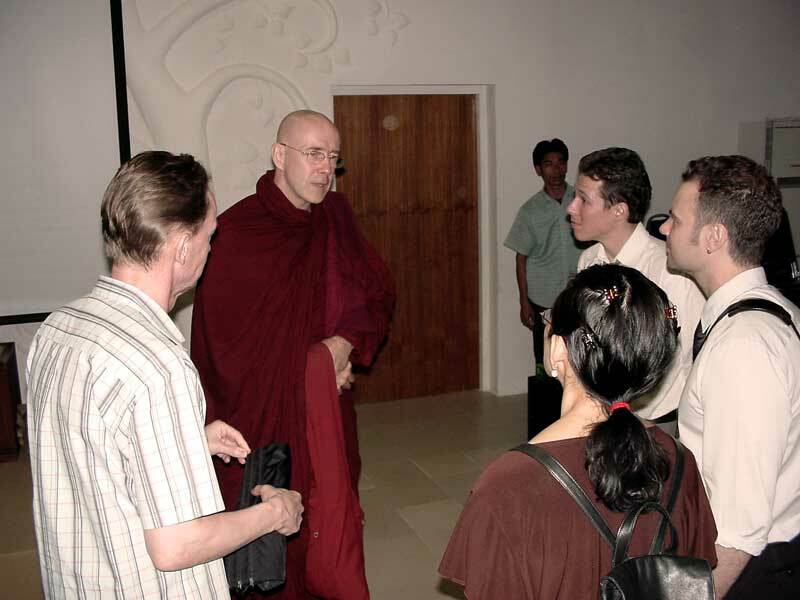 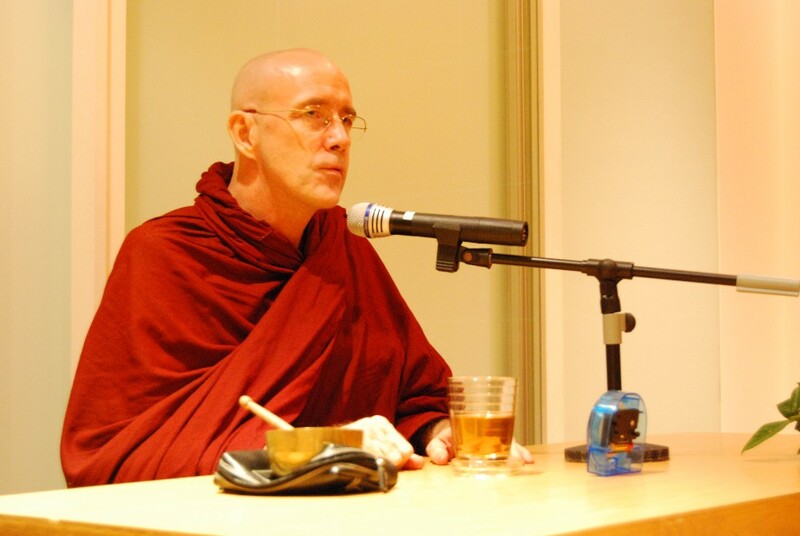 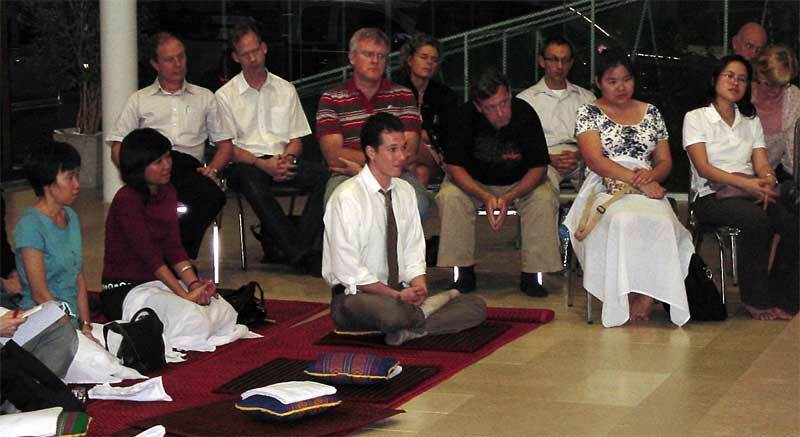 The location was Bodhgaya Hall – the meeting rooms of DMG books, kindly provided for the purpose of Dhamma by Khun Danai Chanshaochai. 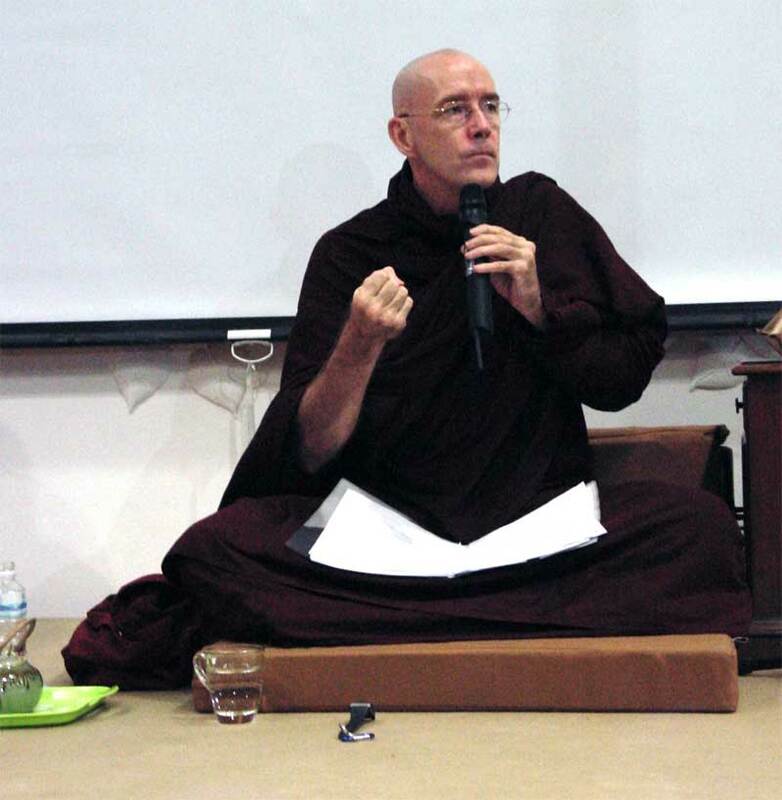 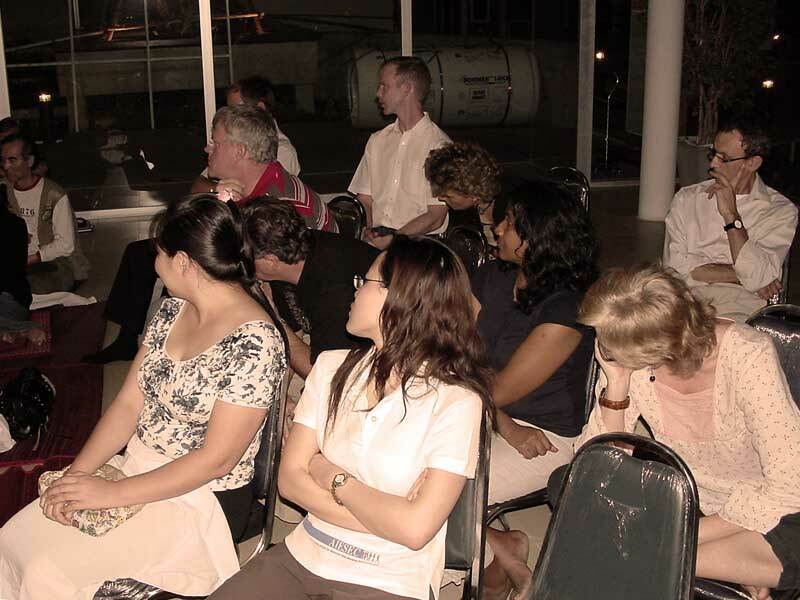 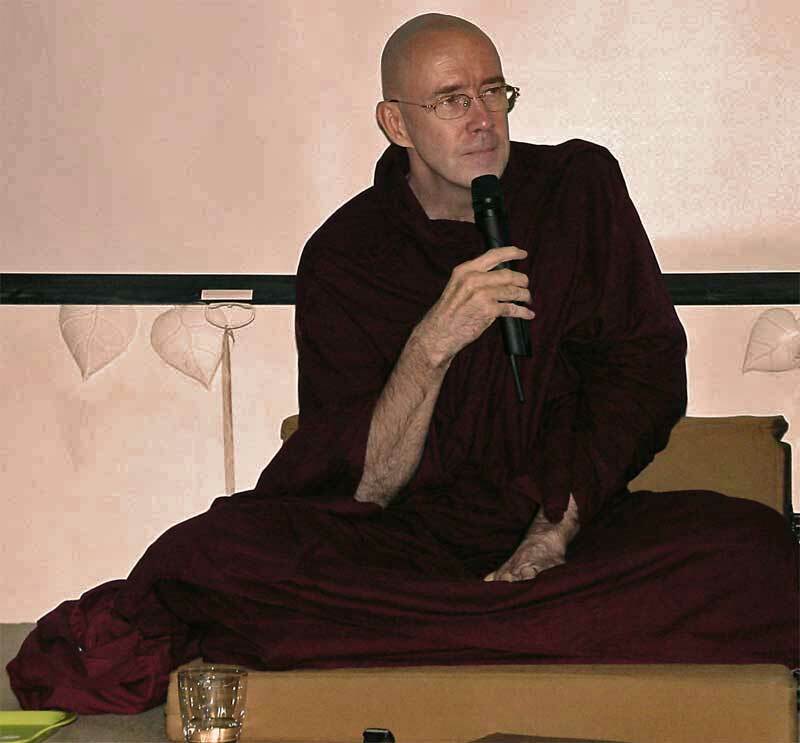 In February 2008 U Vamsa stopped off in Bangkok on his way to the US where he will spend the following year, and gave a talk for us at Baan Aree Library. 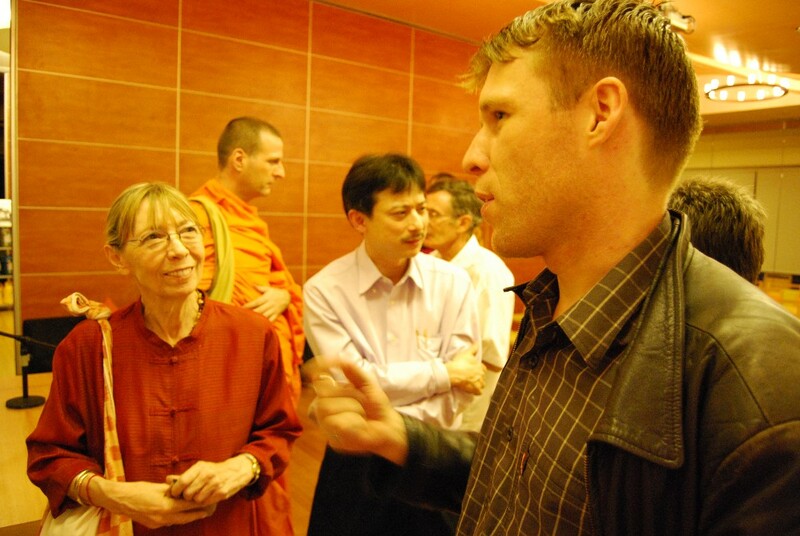 Answering questions – someone asked about the Karma of wealthy people – is it good karma that makes one wealthy or bad? 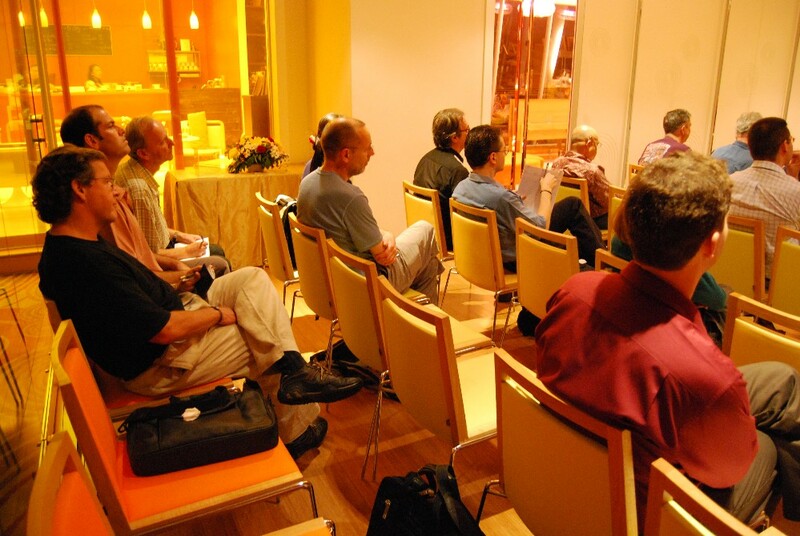 A good turn out as always – many thanks to Baan Aree Library for hosting the event.